Diabetes mellitus (DM) is a general disease which affects the oral health of the patients. Severe and poorly controlled diabetes is considered a risk factor for implant prosthesis complications. While the number of people with DM is rising, the restoration with dental implants may be a reasonable and predictable prosthetic option, being important to conduct the treatment according to their particularities. Aim This study focus on oral health and dental implants success in patients with type 2 DM. 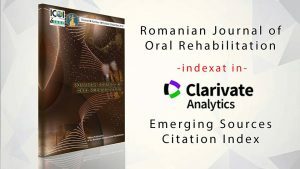 Material and methods A literature review on aspects related to oral health and implant survival rate in diabetic type 2 patients was conducted. Relevant clinical studies were searched through PubMed, Science Direct, Scopus, Wiley, Cochrane Library database. The following search terms used were: oral health and diabetes; dental implants and diabetes. We included publications with more than 10 patients, written in English, in the last 15 years and with assessment of glycemic status. Results Diabetic patients face to numerous oral manifestations: dry mouth by salivary gland hypofunction, periodontal disease, root caries, oral candidiasis, mucosal ulcer, taste impairment, halitosis, burning mouth sensation, delayed wound healing. All of these factors may conduct in the end to higher rate of tooth loss. Diabetes is not an absolute contraindication for dental implant treatment. Patients with chronically uncontrolled diabetes facing other systemic co-morbidities should not receive dental implants. Although the association between diabetes and periodontal disease is well established, health care professionals also need to recognize the risk of tooth loss and its effect on quality of life among people with diabetes. This is the reason why dental implants can be a perfect solution by maintaining the bone height and width which confers stability and more natural appearance of the prosthetic restorations. 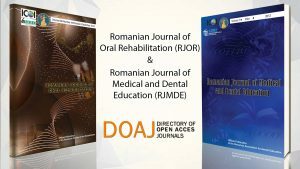 Conclusions Dental implants seem to be predictable procedures for dental rehabilitation in diabetic type 2 patients, with a good osseointegration rate of 85%- 96.4%. Conventional restorations such as bridges or removable prosthesis may be a better option in case of chronic, uncontrolled diabetic patients with elevated HbA1C levels.